Bristol Museum and Art Gallery’s appeal to raise £18,000 for the conservation of a wonderful painting, The Garden Court by Edward Burne-Jones, has been 100% successful, thanks to the Friends. 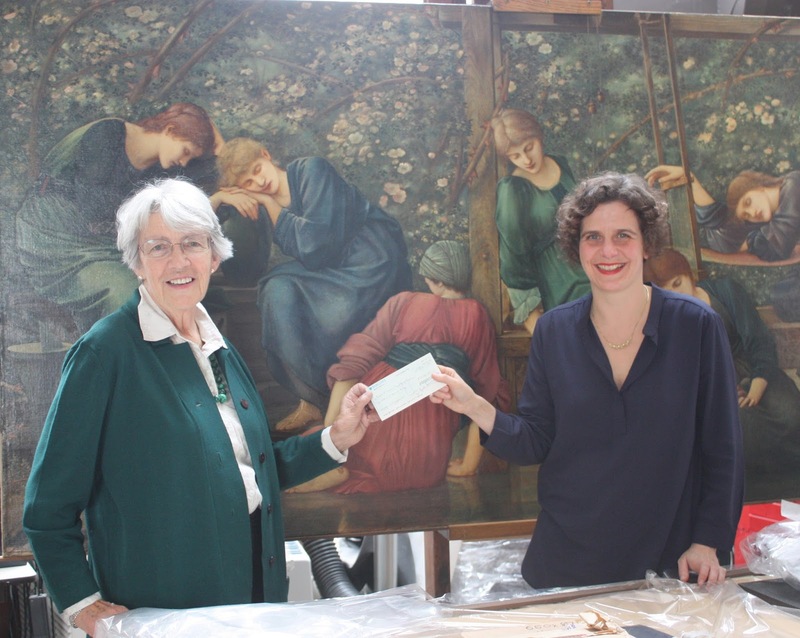 The museum had raised £8,000 from generous individual donors but needed to find another £10,000 to complete the conservation of the badly damaged artwork. The Friends of Bristol Art Gallery Executive Committee agreed to run an appeal to the membership, which was sent out in late July 2014, and within two months 142 individual Friends have donated £10,000 between them. An external conservator, Rachel Howells, started at the Museum on 18 November. She will work on the painting for 2 days a week for the next 6 months, depending on the nature of any problems thrown up as the conservation progresses. It is hoped the painting will be back on display by mid-summer next year in the 19th century gallery, for all to enjoy and wonder at.